Last evening, India and Sri Lanka were playing a one-day cricket match in what has been termed the most boring, one-sided series ever. I read a tweet by Harsha Bhogle that there had been a dramatic collapse with India losing six wickets for 22 runs, to be at 131/7 chasing a target of 231. Then I read another tweet that mentioned M S Dhoni (MSD) was batting. It felt nostalgic: MSD fighting to help India win after the top order had collapsed. I turned the TV on, just to watch MSD bat. And was I glad! MSD is amongst the best leaders that I have seen. He is a natural leader, someone whom I would put at the top Pinnacle level of leadership. Such leaders don’t depend on titles or hierarchy; they inspire others based on who they are and what they stand for. Two things stood out in the way MSD led the Indian team to victory last night. First, MSD showed tremendous trust in his partner. Normally, it is expected that a leading batsman like MSD would avoid exposing a tail-ender like Bhuvaneshwar Kumar to too many deliveries. Yet, we could see MSD taking a run in the first or second ball of the over, thus setting up Bhuvi to face 4-5 balls. I was initially perplexed why Dhoni would do that instead of waiting to score a 4 or 6, and take a run on the last ball. But it was clear that there was no sense of panic or urgency in MSD’s actions. He had a clear game-plan. 100 runs had to be scored and there was enough time if they played sensibly. No flashy shots, just rotate the strike whenever there was an opportunity. Wear the other side down. This approach also meant that Bhuvi would have to take strike often. So, right from the start, he put this plan to execution, instead of trying to “defend” Bhuvi. Essentially, he was signalling to Bhuvi that he considered him capable enough of doing his part. When your leader demonstrates such trust, you feel motivated to live up to expectations. And that’s exactly what Bhuvi did. Second, MSD was prepared to play second fiddle. Soon, Bhuvi gained confidence and began striking the ball well. MSD realised that his plan was working. As the innings progressed, we could see that not only did Bhuvi’s score improve, but he also surpassed Dhoni. The latter continued to execute the plan, rotating the strike. 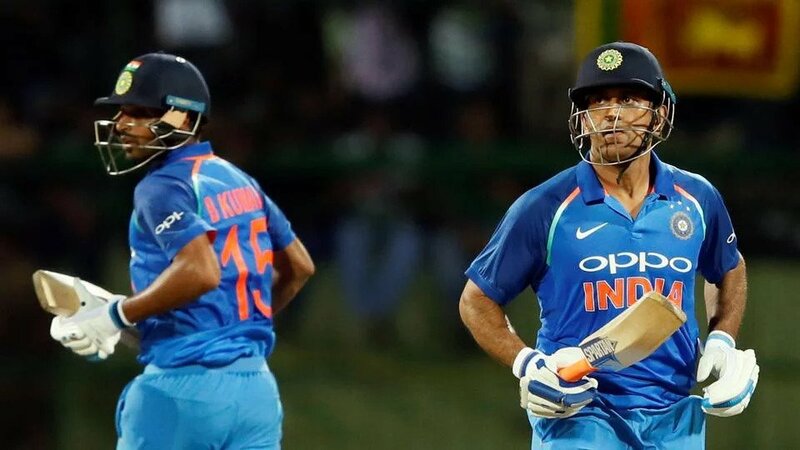 It was only natural to expect that if 100 had to be scored, Dhoni would get at least 75-80 and Bhuvi would contribute by not losing his wicket. Perhaps, a few years ago, that’s exactly what would have happened. Who could have anticipated that Bhuvi would score 52 of the 100 runs and Dhoni only 38? (There were 10 extras.) A leader like MSD is not afraid to see others shine; in fact, they ensure that others become good enough to even eclipse them. A great leader creates new leaders. Of course, if Bhuvi had not stepped up to the task, I am sure MSD would have had a fall-back plan. Fortunately, that occasion did not arise. We are possibly seeing the last few official games that MSD would play. However, a leader like Dhoni will not just fade away; I hope that he continues to influence and inspire us, in various new roles.